Animal-rights groups want the Scottish government to make this year’s Boxing Day hunts the last to take place. The plea by the League Against Cruel Sports and OneKind comes after a review by Lord Bonomy who said fox hunting laws should be changed. He concluded that the current rules were “unduly complicated”. 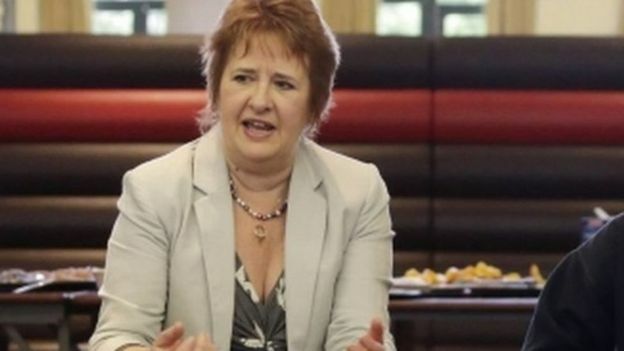 Environment Secretary Roseanna Cunningham said Lord Bonomy’s findings were being considered “carefully” and would be responded to early in 2017. The Scottish Countryside Alliance, which represents hunts, accused LACS of “peddling lies” about foxhunting in Scotland. Boxing Day is a traditional time to hold hunts in the UK with the pro-hunting Countryside Alliance claiming that more than 200,000 people attend such events. What did Lord Bonomy say in his report? The Protection of Wild Mammals (Scotland) Act 2002 saw fox hunting with dogs banned. The law stated that a person who deliberately hunted a wild mammal with a dog was committing an offence. An exception was made when dogs can be used to stalk or flush out a fox to be shot in the interests of pest control, protecting livestock or ground-nesting birds. That prompted mounted hunts in Scotland to be offered to farmers, landowners and estate managers as a form of pest or fox control. Lord Bonomy’s report concluded there were grounds to suspect “there may be occasions when hunting, which does not fall within one of the exceptions, does take place” and recommended further clarification of the law as well as independent hunt monitors. Robbie Marsland, director of the League Against Cruel Sports Scotland, believed the “ball is now firmly in the Scottish government’s court”. He added “Public opinion in Scotland wants to see fox hunting banned, the government thought they had banned it, but as our evidence, Lord Bonomy and Police Scotland have revealed, hunts are running a coach and horses through the current legislation. The organisation said nearly 10,000 people had signed an online petition calling for Ms Cunningham to take speedy action. Harry Huyton, director of OneKind, echoed Mr Marsland’s plea and asked the Scottish government to “act as early as possible in 2017”. Ms Cunningham said the Holyrood administration recognised concerns around the current legislation and that was why Lord Bonomy was asked to carry out the review. She added: “Back in 2002, Scotland led the way in addressing animal-welfare concerns and we remain committed to ensuring the highest levels of welfare for our wild animals. “We will now carefully consider the findings with a view to responding early in 2017. 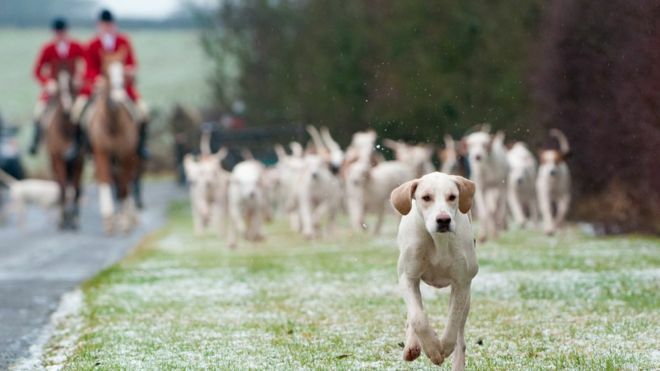 The Scottish Countryside Alliance said the Bonomy review was “absolutely supportive” of the principle of using packs of hounds to flush to guns. Its director, Jamie Stewart, said: “The League Against Cruel Sports team should try reading the review before commenting on it. Just because the proposals they made have been so comprehensively rejected is no excuse for so seriously misrepresenting the review. “I find Mr Marsland’s tactics hugely disrespectful to Lord Bonomy and his team. LACS are obviously in disagreement with his recommendations to the Scottish government and have taken to paying for propaganda to try and influence the mind of the cabinet secretary and members of the Scottish parliament. A rescued dog that provides companionship at a care home is to have a hip operation paid for by residents and staff. William first arrived at Invernevis House in Fort William earlier this year. He had previously been found neglected in Cyprus by a couple from Keith in Moray who were visiting the island. Residents and staff at NHS Highland-run Invernevis House have raised £8,000 for the operation. William, who is five, is set to have his operation in February. However, he needs to be clear of an ongoing infection for at least a month before it can take place. Invernevis House manager Kit Cameron said: “William is a huge favourite with the residents here and puts a smile on everyone’s face. A horse charity is appealing for information after a tiny foal was found abandoned in a Christmas tree farm in Norfolk. The chestnut colt, which the charity has named Rudolph, was discovered by a member of the public who called in the RSPCA and World Horse Welfare for help. Rudolph has an injury to his right hind leg and severe ulceration to one eye, both of which were causing him a lot of discomfort. He’s now safe and warm, and is being looked after by World Horse Welfare. The charity is trying to locate his owner. 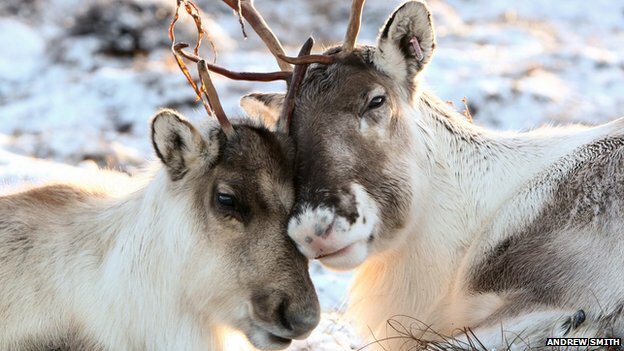 World Horse Welfare Field Officer, Jacko Jackson visited Rudolph when he was found. He said: “This is sadly not an unusual case of a horse being dumped and left to fend for himself. Thankfully Rudolph was discovered and he’s now in a safe place receiving the treatment he so desperately needed for his injuries. 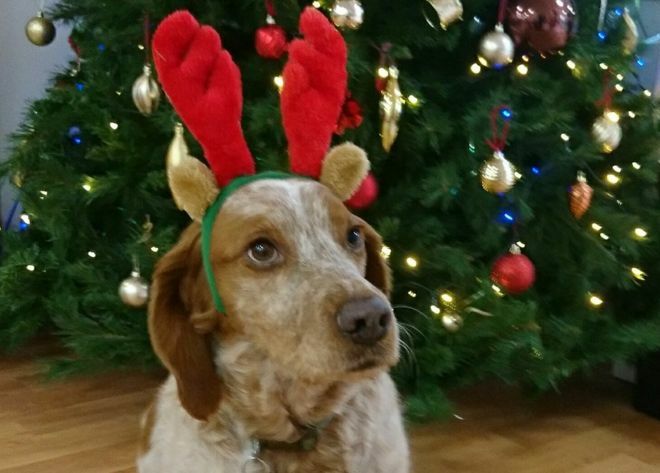 “Rudolph has no microchip so we have no way of identifying his owner. If anyone has any information about Rudolph or recognises him we urge them to get in touch with either World Horse Welfare or the RSPCA. RSPCA deputy chief inspector Ben Kirby said: “This poor little foal was in a sorry state – he was found alone in a field and was clearly injured; one of his eyes was badly ulcerated and he had a nasty leg injury. It’s so sad to think somebody could have cruelly left Rudolph like this with such painful injuries, and just before Christmas too. If anyone has any information about Rudolph or recognises him they can report it in confidence to World Horse Welfare on 08000 480 180 or the RSPCA on 0300 123 8018. With its distinctive red breast, the robin is synonymous with Christmas – and now it seems our festive celebrations may benefit Britain’s favourite bird. City centre and garden illuminations could prevent the birds dying in harsh winters by helping them feed at night, according to one expert. Behavioural ecologist Arnaud Da Silva says artificial light, including large city displays and garden fairy lights, may aid birds who cannot build up enough fat during the short winter days to survive the cold nights. Mr Da Silva has researched the effect of such light on robins – who are particularly sensitive to it – while investigating the effect of light pollution on the timing of songbird singing. He said: “They’ll probably use the light to forage at night, which could be positive for the bird. It has been shown in cities that robins feed closer to the street lights – an important source of light – during the shortest days. “There could be benefits in using Christmas illuminations to forage, if the lights are strong enough – particularly in adverse weather and at ­latitudes where nights are long and cold. UK nights are actually quite long relative to nights in central Europe. I expect the effect to be strongest in Scotland where the nights will be even longer. “It is a hypothesis – but if they haven’t built up enough fat during the day to survive overnight, they could use the light to keep putting fat on overnight. Birds can lose up to 10 per cent of their weight at night due to heat loss. However, Mr Da Silva stressed further research was needed on the drawbacks. He said: “Birds that suffer sleep deprivation could see costs relating to predation, lifespan and stress, just as night shift workers have been linked with higher prevalence of breast cancer, obesity, depression and other conditions. He added: ‘Work done by my superviser, Bart Kempenaers, showed that in some types that breed very high – at 71 degrees north in Barrow, Alaska – the birds sleeping less were having the most breeding success. This could also be the case with robins. Mr Da Silva, who is based at the Max Planck Institute for Ornithology in Germany, said: “I’m most interested in dawn singing and the robin is one of the most sensitive species to light and one of the earliest singers in the morning. His latest research found robins on latitudes closer to the Arctic Circle sang for longer, from mid-May, than those on more distant latitudes. Robins in northern Finland sang all night because of the longer days and lighter nights – unlike those in southern Spain and southern Germany, the other areas studied. WARNING: The following article contains pictures of dogs in outfits and hats. Be honest, the sight of a Jack Russell hopping across someone’s bed in a Santa’s little helper outfit on Facebook does make you crack a smile. Why wouldn’t it? 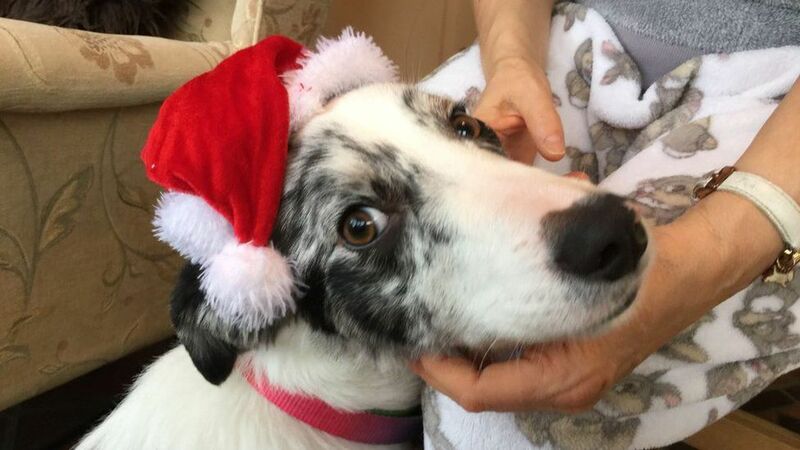 Well, according to Dr Samantha Gaines from the RSPCA, the dog isn’t smiling, or in on the joke. “The RSPCA certainly doesn’t want to come across as party poopers, we don’t want to come across as the fashion police either,” she says. Samantha claims it’s a seasonal problem, typically around Halloween and Christmas when distressed animals appear online. “In some costumes where they’re completely covered we can’t see how they’re feeling, and that in itself is a cause for concern. 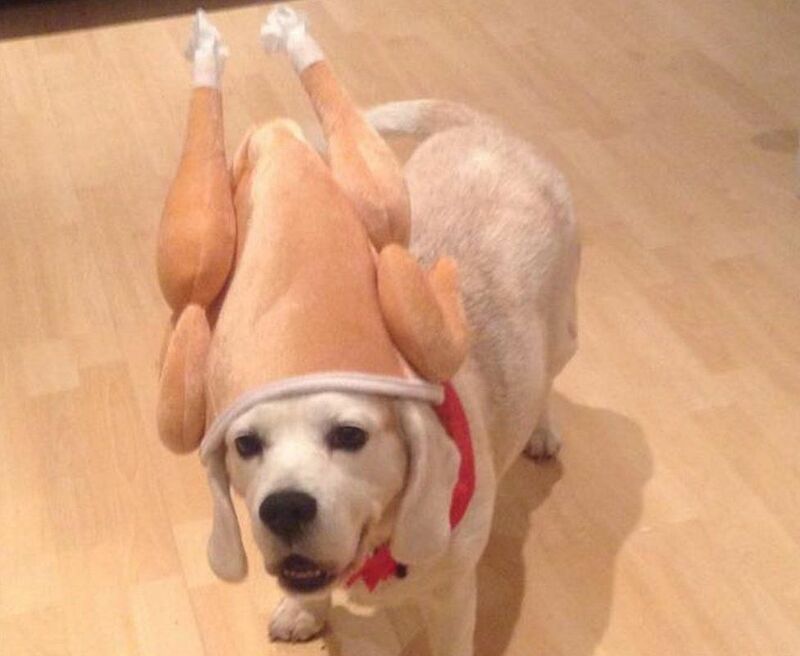 So what if you briefly put a turkey hat on your pooch for that amusing photo? Apparently that’s not OK either. But fear not, what with it being winter and all… it appears dog coats still have a role to play. In short if it can still use tail, head, ears and show its body position, you’re OK. So if you can’t give your pet that complete Chrimbo look, the charity has come up with some, if slightly obvious, advice. In a statement it suggests “playing a fun game or going for a walk” with your pet. So. It’s official – we shouldn’t be dressing up our pets, and all those of us who do are evil animal abusers. OK, I may be slightly paraphrasing here… but for goodness’ sake. Yep I admit, I am slightly annoyed that one of the leading animal welfare charities in the UK has now made me feel guilty about showing, what I feel to be, nothing but adoration and glee towards my fluffy companions. The fact they may very well be right… I’m choosing to gloss over that for now. 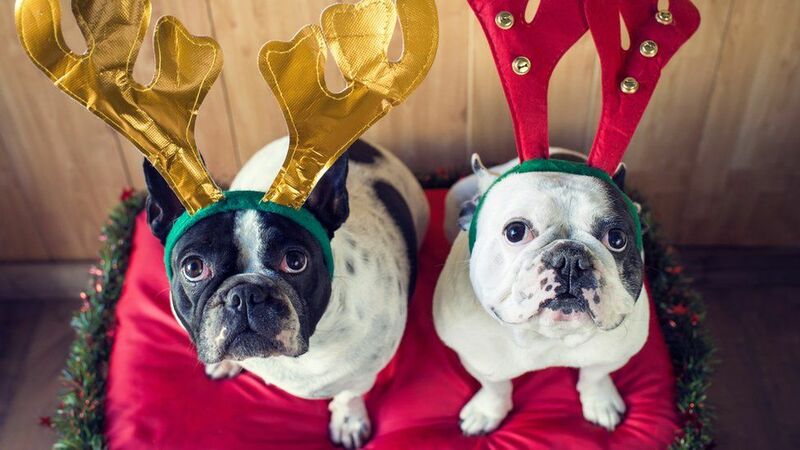 It’s not just Christmas time, and it’s not just dogs – my array of pets have been dressed up for as long as they’ve been unfortunate enough to share a home with me. I don’t mean to any sort of weird extremes – they don’t waddle around in tutus or anything like that – but birthdays, Christmas, any sort of other themed festivities and you can bet my cat Crumble will be wearing a hat. The fact she looks miserable is not the point. In fact, it’s almost become her signature look. The reason I am not flagellating myself and taking Crumble to therapy following the RSPCA’s statement is because quite honestly, Crumble is one of the most spoiled, pampered, adored and contented animals I’ve ever known. And I would bet a large pile of cat hair – seriously, take it – that for everyone reading this, they feel exactly the same way. The RSPCA references the fact dogs “use signals to tell us what they’re feeling, they use their ears, their tails, body positions and their eyes. If we start to cover those up it makes it very difficult for them to communicate with us and other dogs.” They also, if they’re anything like the dogs I’ve had, will simply point blank refuse to wear the costume in the first place if they really don’t want to. Admittedly there is a sliding scale here. If you have a nervous dog and you stick it in an ill fitting Santa outfit, then leave it stuck (literally) in said outfit all day then yes, that’s pretty cruel. But are those kinds of people really the ones RSPCA is aiming their statement at? Surely there are more effective ways to get such a message across to those people as, if a dog is stuck in a miserable costume all day and is clearly stressed, then I would suggest the owners perhaps aren’t as caring towards their pet as they should be. But come on – this does strike me as slightly extreme… what about you? Do you dress your pet up at all? Does your pet/s love or hate it? Where do you stand on the RSPCA’s comments? I’m not berating the RSPCA for their standpoint on this issue, really I’m not. I support the organisation enormously and think good for them for raising issues which are seen as less popular as the usual fluffy puppy campaigns. I just think we have bigger battles to wage here in the fight against animal cruelty, and I think rather than blanketing all pet owner who dress their beloved companions up, it could perhaps have been more effective had they offered some simple advice, based on a sliding scale of costumery. No – bad pet owner. Is your pet twitching, crying, or looking like it wants to lamp you one? Yes – you need help, get it out the bloody costume now and stop being so stupid. Then give it a hug. Is your dog wagging its tail or cat purring while wearing said costume? Yes – wonderful, see if you can stick a hat on. No – hmmm. Perhaps not your audience. And at the end of all of this I would suggest never, ever leave a costume on for more than a few minutes. In the case of Crumble, the hat stays on her head literally long enough to take a photo – and after five years, she is well used to the routine. Don’t leave the outfit on your animal all day. Just use some common sense, and think how you’d feel. Especially in the case of the dog above in the giant turkey. Most importantly, have a lovely festive season. May you and your fluffies wear as many ridiculous outfits as you want to, and as few as your collective reputation can stand. Captive Animals’ Protection Society are asking people across the UK to take action for penguins this Christmas. As we move towards the festive season we see decorations, bright lights and hear Christmas songs when out and about in our busy shopping centres and high streets. Sadly, what we are also seeing is the exploitation of live animals. On the 12th of December on Sidcup High Street, live penguins will be used in a ‘meet the penguins’ event as part of the ‘Sidcup Sparkles’ Christmas event. As well as welfare concerns, using wild animals as a form of ‘entertainment’ sends out the wrong educational messages to the public, in particular children. Animals like penguins do not belong on a high street in the UK and this event does nothing to teach about conservation or respect for species and habitats. Captive Animals’ Protection Society (CAPS) are asking people to contact the organisers today and ask them to cancel this part of their Christmas event! This year, CAPS have received more complaints from concerned members of the public on the use of wild animals in Christmas events than ever before. You can view their interactive ‘Rudolph map’ here to see the events that are happening near you, which is being added to daily. As 2014 draws to a close I’d like to wish all the readers of this blog a very merry Christmas and a fantastic festive season. It’s been a hell of a year for animals – from the nonsensical badger cull to MPs’ pathetic attempts at bringing back the Hunting Act, animal rights warriors have been on full alert doing all we can to stamp out injustice to our furry or feathered friends. It can be tough fighting the cause of animal welfare, as we all know. Major UK campaigns such as the petition to install CCTV in all slaughterhouses, or the call to action asking people to ban wild animals in circuses, have dominated headlines and divided opinion across the animal welfare spectrum. The fight continues, and up and down the country horrific abuse of animals sadly continues. People carry on shooting pets and wildlife with air guns, foie gras continues to be sold and produced as some sort of laughable ‘delicacy’ and crimes against wildlife from snares to shooting seems to be increasing at an alarming rate. Yet despite all the horror stories and depressing headlines, our fight continues and we stand stronger than ever. Indeed, we’ve also seen some major successes this year. In March, hundreds of people took to the streets of Inverness and marched against wildlife crime, carrying huge white ‘ghost raptor’ replicas as they fought to make Parliament stand up and listen to the call of the wild. In December, major NGOs joined forces and marched in front of Westminster to raise awareness of nature and its lack of representation in current government legislation. Meanwhile every day prosecutions are made, animals are saved and less and less people close their eyes to the horrors animals suffer. The fight is far from over, but it also shows no signs of stopping. We’ll be there every step of the way, joined in arms against any and all injustice to the creatures who can’t speak for themselves. In the meantime, let’s celebrate Christmas and all that comes with it. Religious or not, Christmas is a time of year for being glad for what we have and reminding ourselves what’s really important in our lives. Our animals need us more than ever and personally, I’m going to be squeezing my cat just a little bit tighter today. Christmas is a time to be with loved ones and if you’re like me, that will almost certainly include, if not entirely constitute, your pets. Give them a massive hug and let’s vow for their sake in 2014 to be stronger than ever. Merry Christmas guys. Thanks for paying this site a visit in 2014 and I hope you, and all the special creatures who share your world, are well and truly spoiled today.